The first Shrewsbury Pageant ever will take place at Oak School on February 12th, 2017. Elliana Davis, 2017 National American Miss Pageant- Miss Worcester is taking the Girl Scout motto of Courage, Confidence, and Character to a new level. This event is her Girl Scout Gold Award Project that will potentially start a new town tradition. 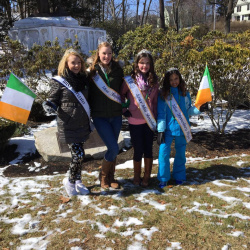 The pageant is open to 5th-12th graders from Shrewsbury to show their Community spirit and future leadership. There is two age divisions for titles of Miss Shrewsbury and Junior Miss Shrewsbury 2017. Seeking participants that are Shrewsbury residents, energetic, encouraging to their peers, and ready to be a helping hand and create community service projects.